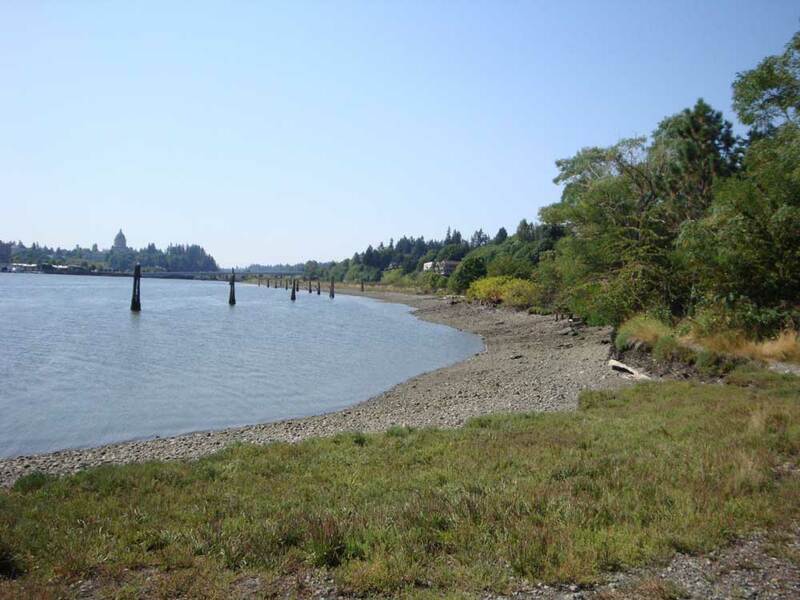 West Bay Park is in the City of Olympia, Washington, located across the channel from the state capitol. 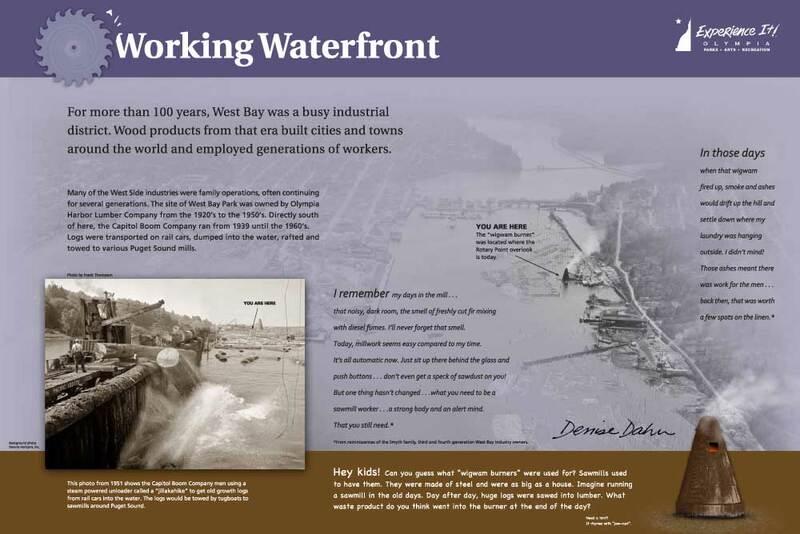 The park was constructed on land reclaimed from an old industrial site. 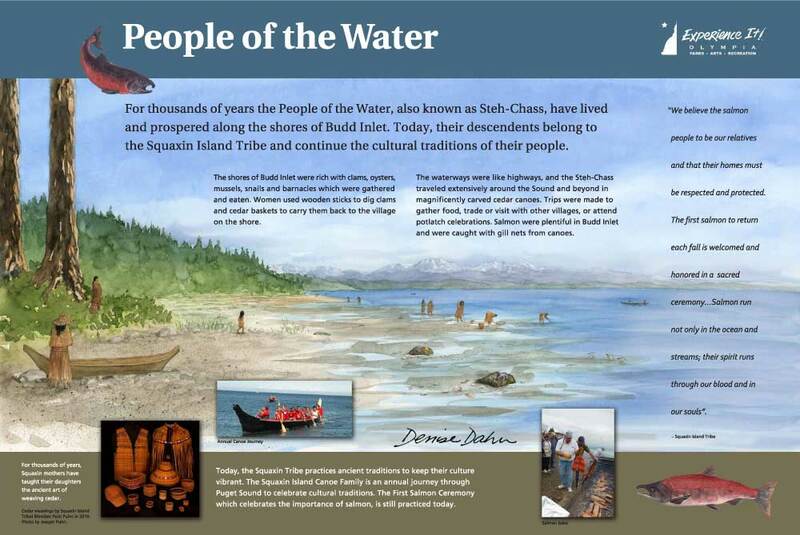 I researched, wrote text, designed and illustrated a series of four interpretive signs. Click on the images for a closer view. One of the signs, installed. 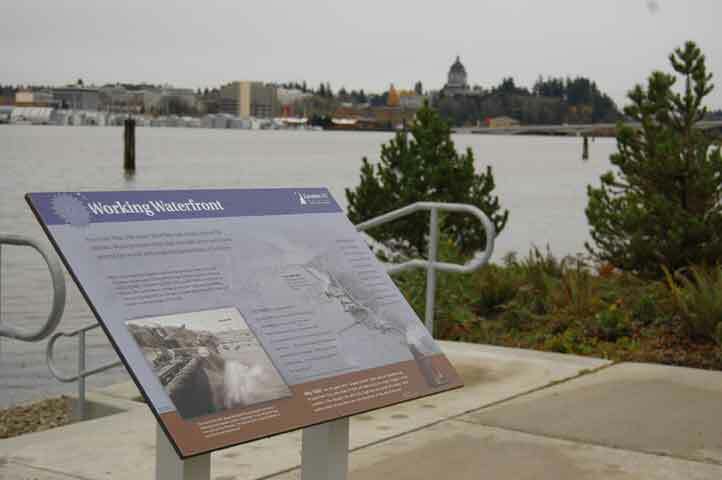 This sign interprets the long history of Native American use on the site. The industrial history of the site was interpreted on this sign. 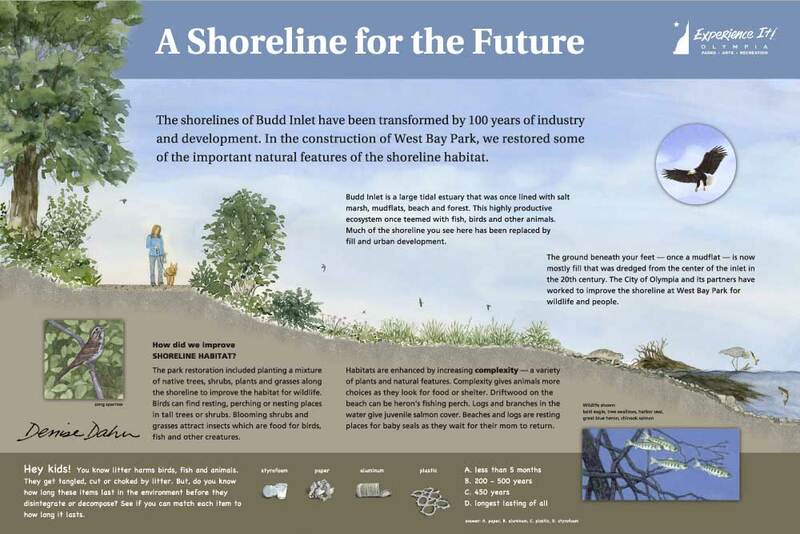 When the park was built, special attention was paid to shoreline habitat. 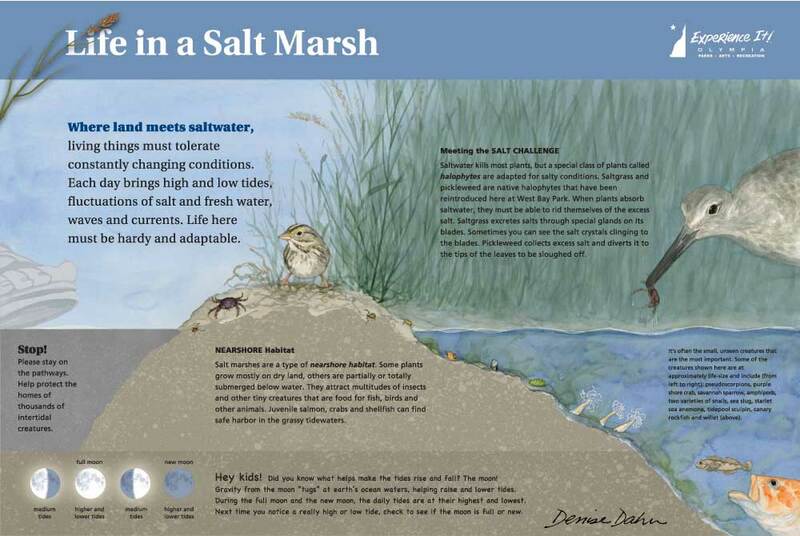 The visitor is encouraged to look closely at the hidden life on the shoreline.